One of the most important security elements for Apple developers is the iOS Keychain, a specialized database for storing metadata and sensitive information. Using Keychain is the best way to store small pieces of data that are critical to your app, like secrets and passwords. It’s complicated to interact with Keychain directly, especially in Swift. You have to use the Security framework, which is written mostly in C.
There are different Swift wrappers that allow you to interact with Keychain. Apple even offers one called GenericKeychain to make your life easier. 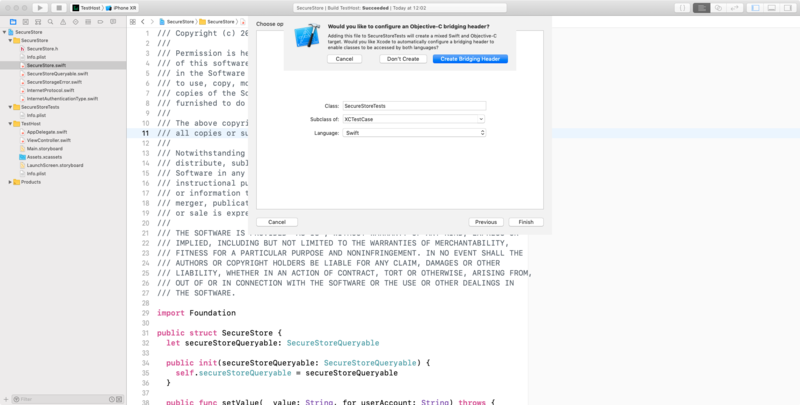 Although you can easily use third-party wrappers to interface with the unfriendly API that Apple provides, understanding Keychain Services adds a valuable tool to your developer tool belt. In this tutorial, you’ll delve deep into Keychain Services API and learn how to create your own wrapper, developing it as an iOS framework. In particular, you’ll learn how to add, modify, delete and search for both generic and internet passwords. Furthermore, you’ll provide unit tests to verify that your code works as you expect. For this tutorial, you’ll use SecureStore, a boilerplate iOS framework where you’ll implement your Keychain Services API. Start by downloading the starter project using the Download Materials button at the top or bottom of this tutorial. Once you’ve downloaded it, open SecureStore.xcodeproj in Xcode. To keep you focused, the starter project has everything related to implementing your wrapper already set up for you. SecureStoreError.swift: Contains an enum, which represents all the possible errors your wrapper can deal with. Conforming to LocalizedError, SecureStoreError provides localized messages describing the error and why it occurred. SecureStoreQueryable.swift: Defines a protocol with the same name as the file. SecureStoreQueryable forces the implementer to provide a query property defined as a dictionary typed as [String: Any]. Internally, your API only deals with those types of objects. More on that later. SecureStore.swift: Defines the wrapper you’ll implement in this tutorial. It provides an initializer and a bunch of stubbed methods for adding, updating, deleting and retrieving your passwords from the Keychain. A consumer can create a wrapper’s instance by injecting some type that conforms to SecureStoreQueryable. InternetProtocol.swift: Represents all the possible internet protocol values you can deal with. InternetAuthenticationType.swift: Describes the authentication mechanisms that your wrapper provides. Note: Dependency injection allows you to write classes that expand and isolate functionality. It’s a bit of a scary word for a pretty simple concept. You’ll see the word “inject” throughout this tutorial, where it refers to passing a whole object into an initializer. Along with the framework code, you should have two other folders: SecureStoreTests and TestHost. The former contains the unit tests you’ll ship with your framework. The latter contains an empty app, which you’ll use to test your framework API. Note: Usually, to test the code you write in a tutorial, you run an app in the simulator. Instead of doing that, you’ll verify your code is working by running unit tests. So the test host app in the project won’t run in the simulator; instead, it serves as the container where it executes unit tests for your framework. Before diving directly into the code, take a look at some theory! Why use the Keychain over simpler solutions? Wouldn’t storing the user’s base-64 encoded password in UserDefaults be enough? Definitely not! It’s trivial for an attacker to recover a password stored that way. Keychain Services help you to securely store items, or small chunks of data, into an encrypted database on behalf of the user. 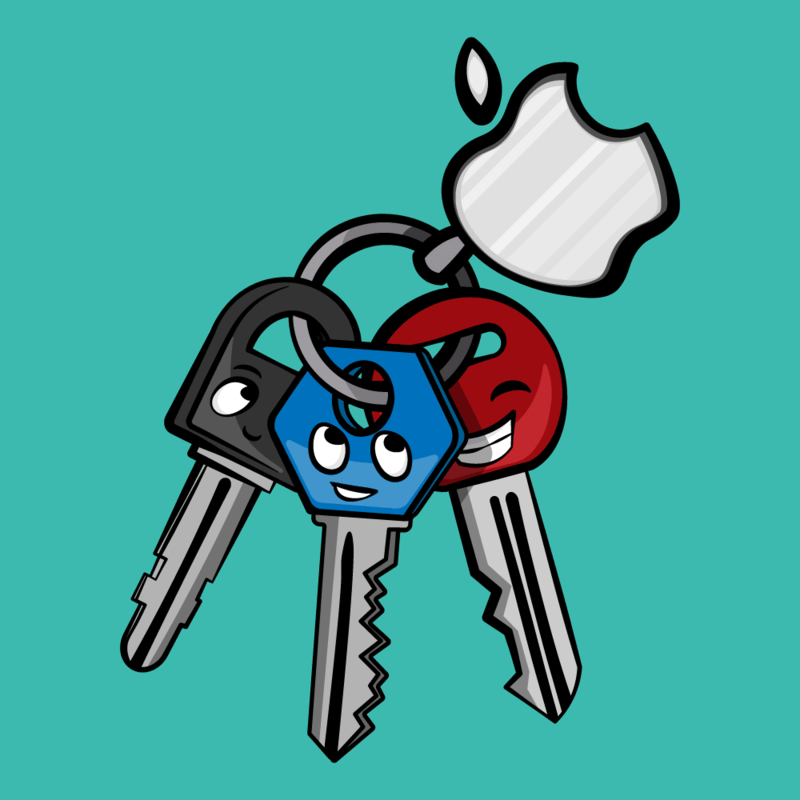 From Apple’s documentation, the SecKeychain class represents a database, while the SecKeychainItem class represents an item. Keychain Services operate differently depending on the operating system you’re running. In iOS, apps have access to a single Keychain which includes the iCloud Keychain. Locking and unlocking the device automatically locks and unlocks Keychain. This prevents unwanted accesses. 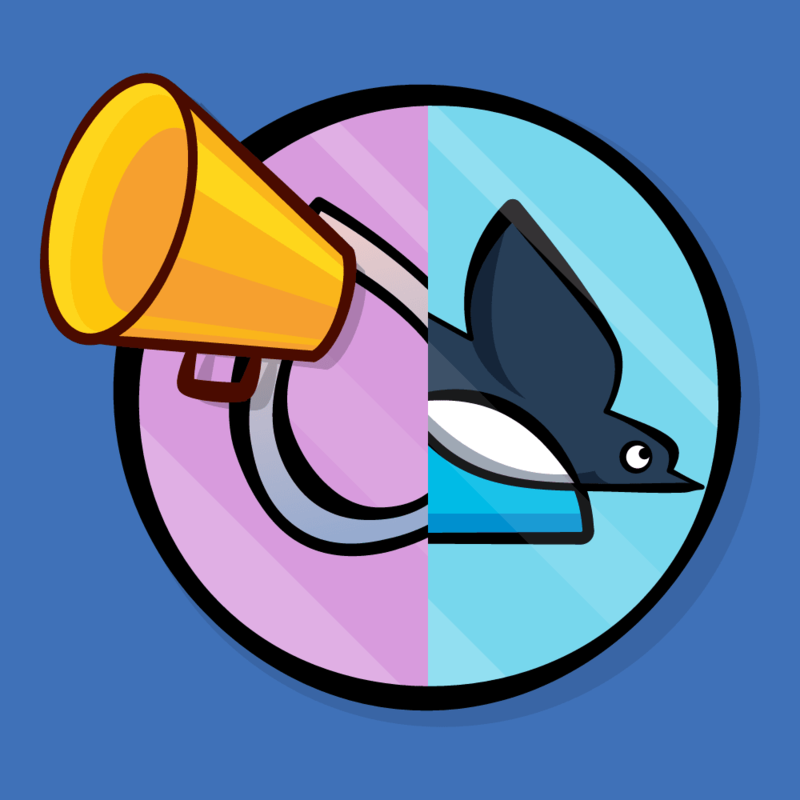 Furthermore, an app is only able to access its own items or those shared with a group to which it belongs. On the other hand, macOS supports multiple keychains. You typically rely on the user to manage these with the Keychain Access app and work implicitly with the default keychain. Additionally, you can manipulate keychains directly; for example, creating and managing a keychain that is strictly private to your app. When you want to store a secret such as a password, you package it as a keychain item. This is an opaque type which consists of two parts: data and a set of attributes. Just before it inserts a new item, Keychain Services encrypts the data then wraps it together with its attributes. Use attributes to identify and store metadata or to control access to your stored items. Specify attributes as the keys and values of a dictionary expressed as a CFDictionary. You can find a list of the available keys at Item Attribute Keys and Values. The corresponding values can be strings, numbers, some other basic types, or constants packaged with the Security framework. 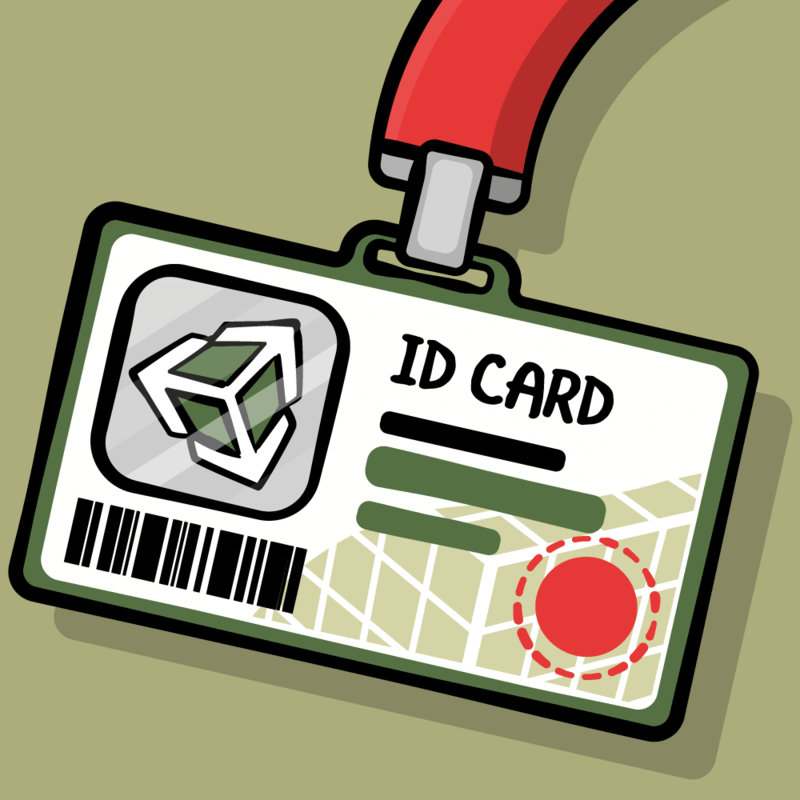 Keychain Services provide special kinds of attributes that allow you to identify the class for a specific item. In this tutorial, you’ll use both kSecClassGenericPassword and kSecClassInternetPassword to deal with generic and internet passwords. Each class supports only a special set of attributes. In other words, not all attributes apply to a specific item class. You can verify them in the relevant item class value documentation. Note: Besides manipulating passwords, Apple offers the chance to interact with other types of items like certificates, cryptographic keys and identities. Those are represented respectively by the kSecClassCertificate, kSecClassKey and kSecClassIdentity classes. SecItemAdd(_:_:): Use this function to add one or more items to a keychain. SecItemCopyMatching(_:_:): This function returns one or more keychain items that match a search query. Additionally, it can copy attributes of specific keychain items. SecItemUpdate(_:_:): This function allows you to modify items that match a search query. SecItemDelete(_:): This function removes items that match a search query. While the functions above operate with different parameters, they all return a result code expressed as an OSStatus. This is a 32-bit signed integer which can assume one of the values listed in Item Return Result Keys. Since OSStatus could be cryptic to understand, Apple provides an additional API called SecCopyErrorMessageString(_:_:) to obtain a human-readable string corresponding to these status codes. Note: Aside from adding, modifying, deleting or searching for a specific keychain item, Apple also provides functions to both export and import certificates, keys and identities or even modify items’ access control. If you want to learn more, check out the documentation for Keychain Items. Now that you have a solid grasp of Keychain Services, in the next section you’ll learn how to remove the stubbed methods provided by your wrapper. This method, as the name implies, allows storing a new password for a specific account. If it cannot update or add a password, it throws a SecureStoreError.unhandledError, which specifies a localized description for it. Check if it can encode the value to store into a Data type. If that’s not possible, it throws a conversion error. Ask the secureStoreQueryable instance for the query to execute and append the account you’re looking for. Return the keychain item that matches the query. If the query succeeds, it means a password for that account already exists. In this case, you replace the existing password’s value using SecItemUpdate(_:_:). If it cannot find an item, the password for that account does not exist yet. You add the item by invoking SecItemAdd(_:_:). The Keychain Services API uses Core Foundation types. To make the compiler happy, you must convert from Core Foundation types to Swift types and vice versa. In the first case, since each key’s attribute is of type CFString, its usage as a key in a query dictionary requires a cast to String. However, the conversion from [String: Any] to CFDictionary enables you to invoke the C functions. Given a specific account, this method retrieves the password associated with it. Again, if something goes wrong with the request, the code throws a SecureStoreError.unhandledError. Ask secureStoreQueryable for the query to execute. Besides adding the account you’re interested in, this enriches the query with other attributes and their related values. In particular, you’re asking it to return a single result, to return all the attributes associated with that specific item and to give you back the unencrypted data as a result. Use SecItemCopyMatching(_:_:) to perform the search. On completion, queryResult will contain a reference to the found item, if available. withUnsafeMutablePointer(to:_:) gives you access to an UnsafeMutablePointer that you can use and modify inside the closure to store the result. If the query succeeds, it means that it found an item. Since the result is represented by a dictionary that contains all the attributes you’ve asked for, you need to extract the data first and then decode it into a Data type. If an item is not found, return a nil value. Adding or retrieving passwords for an account is not enough. You need to integrate a way to remove passwords as well. To remove a password, you perform SecItemDelete(_:) specifying the account you’re looking for. If you successfully deleted the password or if no item was found, your job is done and you bail out. Otherwise, you throw an unhandled error in order to let the user know something went wrong. But what if you want to remove all the passwords associated with a specific service? Your next step is to implement the final code for achieving this. As you’ll notice, this method is similar to the previous one except for the query passed to the SecItemDelete(_:) function. In this case, you remove passwords independently from the user account. Finally, build the framework to verify everything compiles correctly. All the work you’ve done so far enriches your wrapper with add, update, delete and retrieve capabilities. As is, you must create the wrapper with an instance of some type that conforms to SecureStoreQueryable. Since your very first goal was to deal both with generic and internet passwords, your next step is to create two different configurations that a consumer can create and inject into your wrapper. First, examine how to compose a query for generic passwords. GenericPasswordQueryable is a simple struct that accepts a service and an access group as String parameters. To conform to SecureStoreQueryable protocol, you must implement query as a property. The query represents the way your wrapper is able to perform the chosen functionality. The item class, represented by the key kSecClass, has the value kSecClassGenericPassword since you’re dealing with generic passwords. This is how keychain infers that the data is secret and requires encryption. kSecAttrService is set to the service parameter value that is injected with a new instance of GenericPasswordQueryable. Finally, if your code is not running on a simulator, you also set kSecAttrAccessGroup key to the provided accessGroup value. This lets you share items among different apps with the same access group. Next, build the framework to ensure that everything works correctly. Note: For a keychain item of class kSecClassGenericPassword, the primary key is the combination of kSecAttrAccount and kSecAttrService. In other words, the tuple allows you to uniquely identify a generic password in the Keychain. Your shiny new wrapper is not complete yet! The next step is to integrate the functionalities allowing consumers to interact with internet passwords as well. InternetPasswordQueryable is a struct that helps you manipulate Internet Passwords within your applications Keychain. Before conforming to SecureStoreQueryable, take a moment to understand how your API will work in this case. If users want to deal with internet passwords, they create a new instance of InternetPasswordQueryable where internetProtocol and internetAuthenticationType properties are bound to specific domains. The item class, represented by the key kSecClass, has the value kSecClassInternetPassword, since you’re now interacting with internet passwords. kSecAttrPort is set to the port parameter. kSecAttrServer is set to the server parameter. kSecAttrSecurityDomain is set to the securityDomain parameter. kSecAttrPath is set to the path parameter. kSecAttrProtocol is bound to the rawValue of the internetProtocol parameter. Finally, kSecAttrAuthenticationType is bound to the rawValue of the internetAuthenticationType parameter. Again, build to see if Xcode compiles correctly. Note: For a keychain item of class kSecClassInternetPassword, the primary key is the combination of kSecAttrAccount, kSecAttrSecurityDomain, kSecAttrServer, kSecAttrProtocol, kSecAttrAuthenticationType, kSecAttrPort and kSecAttrPath. In other words, those values allow you to uniquely identify an internet password in the Keychain. Now it’s time to see the result of all your hard work. But wait! Since you’re not creating an app that runs on a simulator, how are you going to verify it? Here’s where unit tests come to the rescue. In this section, you’ll see how to integrate unit tests for your wrapper. In particular, you’ll test the functionalities that your wrapper exposes. Note: If you’re new to unit tests and you want to explore the subject, check out our amazing iOS Unit Testing and UI Testing Tutorial. To create the class that will contain all your unit tests, click File ▸ New ▸ File… and select iOS ▸ Source ▸ Unit Test Case Class. 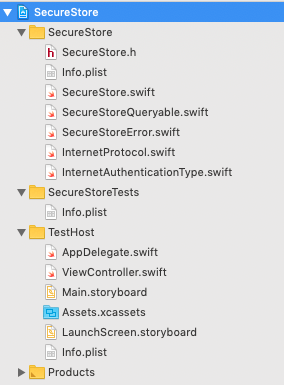 On the next screen, specify the class name as SecureStoreTests, subclass XCTestCase and make sure the language is Swift. Click Next, choose the SecureStoreTests group, verify that you have selected the SecureStoreTests targets checkbox and click Create. Xcode will prompt a dialog to create an Objective-C bridging header. Click Don’t Create to skip the creation. 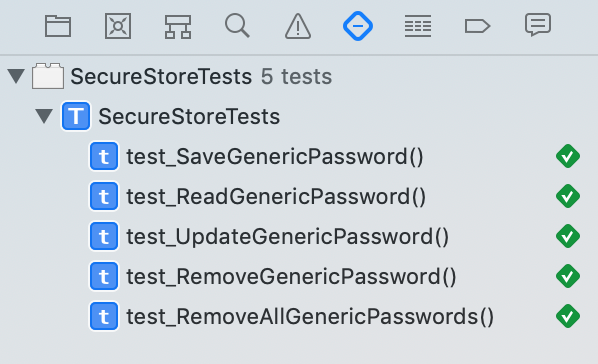 Open SecureStoreTests.swift file and remove all the code within the curly braces. This gives the unit tests access to the classes and methods defined in your SecureStore framework. Note: You might see a “No such module” error. Don’t worry, the error will go away when you get to the end of this section of the tutorial and perform the test. Since you test both generic and internet passwords, you create the two instances of your wrapper with two different configurations. Those configurations are the ones you developed in the previous section. Since you should isolate and execute each test independently from the others, you’re going to delete all the passwords already available in the Keychain. The execution order doesn’t matter. It’s now time to add unit tests for generic passwords. testSaveGenericPassword() methods verifies whether it can save a password correctly. testReadGenericPassword() first saves the password then retrieves the password, checking if it’s equal to the expected one. testUpdateGenericPassword() verifies when saving a different password for the same account, the latest password is the one expected after its retrieval. testRemoveGenericPassword() tests that it can remove a password for a specific account. Finally, testRemoveAllGenericPasswords checks that all the passwords related to a specific service are deleted from the Keychain. Since your wrapper can throw exceptions, each catch block makes the tests fail if something goes wrong. Press Command-U on your keyboard (or select Product ▸ Test in the menu) to perform the unit tests. Note: You don’t need to run the app as you normally would in a tutorial. For this tutorial, you check your code by performing the unit tests. Show the Test navigator and wait for the tests to execute. Once they’ve finished, you’ll expect all five tests to be green. Nice! Next, do the same for internet passwords. Notice that the code above is identical to the one previously analyzed. You’ve just replaced the reference secureStoreWithGenericPwd with secureStoreWithInternetPwd. Select TestHost as the active scheme, if it’s not already, and press Command-U on your keyboard to test again. Now all the tests, both for generic and internet passwords, should be green. Congratulations! You now have a working, stand-alone framework and unit tests in place. In this tutorial, you made a framework wrapping the Keychain Services API and even integrated unit tests to prove your code works as expected. Amazing! You could go a step further, sharing or distributing your code with other people following the final part of our tutorial Creating a Framework for iOS. If you want to learn more, check out Apple’s documentation at Keychain Services. It’s worth noting that Keychain is not limited to passwords. You can store sensitive information like credit card data or short notes. You can also save items like cryptographic keys and certificates that you manage with Certificate, Key, and Trust Services, to conduct secure and authenticated data transactions. What did you learn from this? Any lingering questions? Want to share something that happened along the way? You can discuss it in the forums. See you there!